Our portable robot is on its way. 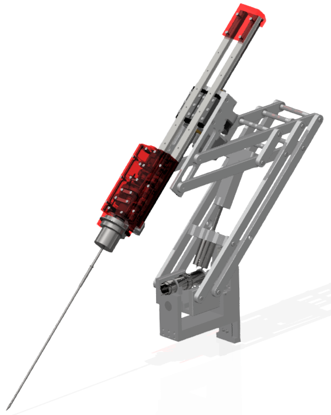 Surge-on Medical is currently developing a surgical robotic system that is portable, cleanable, affordable, and compatible with our steerable instruments: the Portable Laparoscopy Robot System (PoLaRS). PoLaRS is portable and weighs less when compared to other surgical systems. Modular design with fewer parts than conventional systems. Parts are simple and off the shelf. PoLaRS cost is significantly lower as compared to other systems, thus providing an affordable surgical alternative for developing countries. It is easy to clean and maintain, and it has a small footprint. The unique steerable instruments used in the system can be cleaned by conventional sterilization techniques. PoLaRS is a lightweight, portable telesurgical system intended for performing advanced laparoscopic surgery at low costs, in comparison with existing systems. 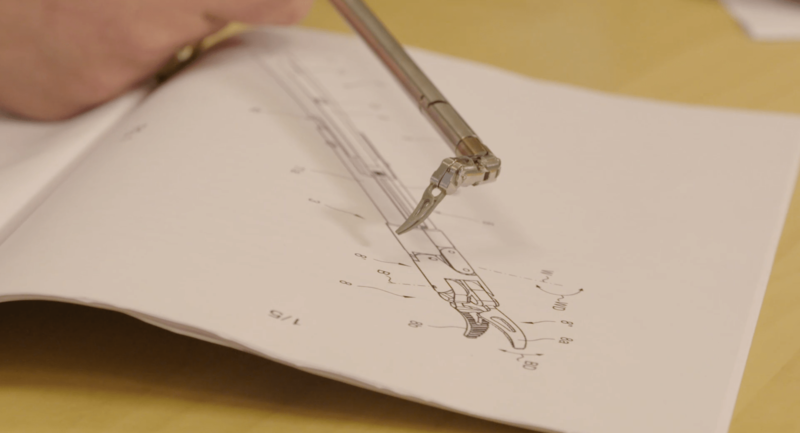 The PoLaRS robotic system is being designed to be modular, portable, and affordable, thus overcoming the limitations of the existing robotic surgical systems. Additionally, our robotic master-slave system is designed to be transported in two cases. The design of the system components and instruments is based on a bare minimum design approach, aiming at the development of advanced technology for developing countries. PoLaRS only requires off-shelf electric components in combination with light materials and easy to manufacture parts, decreasing the weight and the general cost of the system. Robotic laparoscopy procedures are being performed in increased frequency throughout recent years because robotic laparoscopy overcomes some of the disadvantages of conventional (open) laparoscopy. However, many hospitals and clinics worldwide still cannot offer this technique due to the high cost of these surgical systems, the lack of trained surgeons prepared to operate them, and difficulties in the reprocessing, cleaning, and disinfection of the robotic arms. The increasingly complex surgical instruments that are challenging to clean. The high cost of robotic systems that limit their use in hospitals. The high costs associated with upgrading and maintaining the robotic system. The large and bulky size of the robots, making it difficult to fit in already crowded operation rooms. The lack of compatible instruments and equipment. The large team needed to operate the robotic system. PoLaRS consists of a master and slave design configuration. As in any robotic system, the master is the control center for the surgeon, where they can control the slave system that executes the commands given through the master system. The master robot of PoLaRS consists of a cockpit with either a 2D or 3D screen, a keyboard/panel, and two control arms that can move freely in an x-y-z direction, with each having 5 degrees of freedom. Each master arm contains a control box. This box controls the additional 4 degrees of freedom associated with instrument steering, opening, and closing of the forceps of the slave system. An in-height adjustable stage table that can be raised to approximately 140 cm. Two x-y-z stages between arms and table allowing the surgeon to place the instrument rotation point accurately in the abdominal wall. Two arms that rotate the instruments with a trocar around the incisions. Detachable and reusable surgical instruments based on Surge-on Medical’s cable-less multi-steering technology. A camera holder that allows easy camera positioning independent of the camera of choice. Precise and affordable surgery with 7 DoF instrument movements and additional 3 DOF instrument positionings designed for easy adjustment of the instrument rotation points. Easy to clean instruments with an innovative reusable coupling mechanism. Modular master’s robot stand that can be adapted to the needs of the OR. 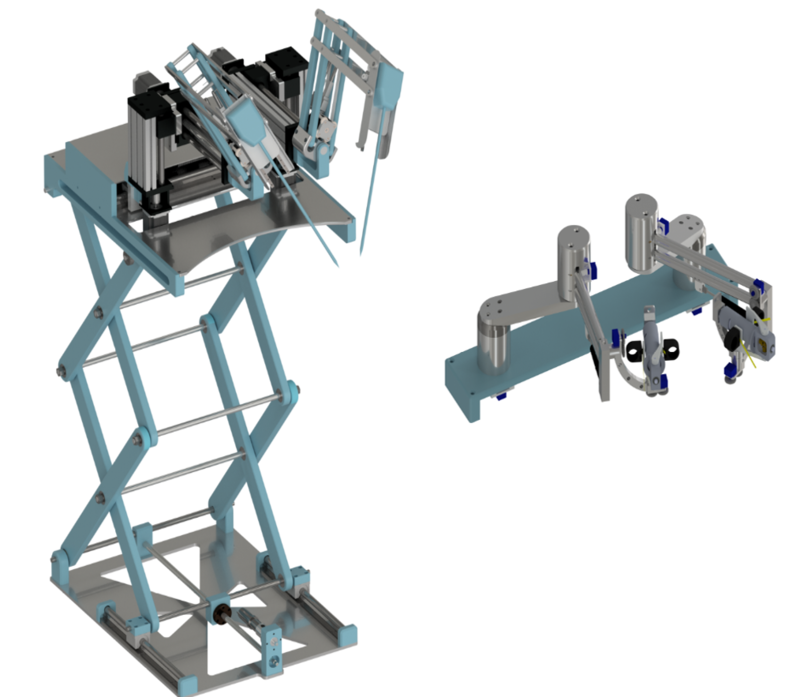 An easy to install, maintain, and clean surgical robot, with the ability to be relocated. An ideal portable robotic system to be used in difficult access areas. An increase in the number of hospitals that are able to perform robotic surgery. PoLaRS is a rapidly evolving project. The proof of concept of the master and the slave robots has been completed, and we are updating the robots with more effective components for the first tests.